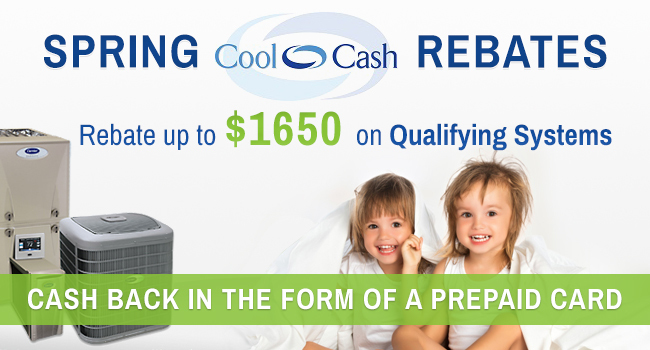 Spring 2019 Cool Cash is Right Around the Corner! The Spring Cool Cash promotion starts on March 18th, and the grid is now available! A control previously claimed within the last 12 months will count towards the qualifying control requirement. No grid changes – Up to 72 month Financing or rebates up to $1,650. All rebate amounts have remained the same from the Fall 2018 Promotion. FAD financing promotions are available. Dealers cannot submit a sale for both promotions – only one claim per sale. An electronic version of the claim form is attached. This can be used in lieu of the traditional 3-ply forms. A customer signed copy of the claim form is still a legal requirement of the promotion. If requested, the dealer must be able to provide a customer signed copy of the rebate form. All claims must be submitted on www.carrierincentives.com by 7/31/2019. If you did not participate in the Fall and would like to this Spring, please contact Lisa Scherer direct @ lscherer@siglers.com. Only registered 2019 Program Dealers are eligible to participate. It’s important that you and your family are never left sweating it out for the summer. Because we’ve been in the industry for decades, we know just how uncomfortable a home or office without heating and cooling can be. From the smallest tune-ups to full-scale replacements, no project is too big or too small for American Conditioned Air. Above all, we are here to handle all of your heating and cooling needs in Tucson, AZ.